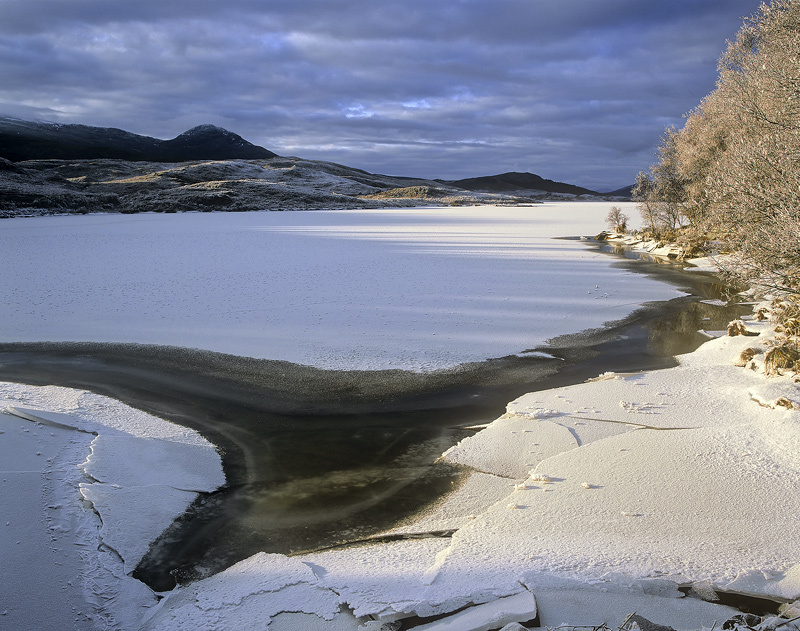 Ice crunches up and its plates slide across each other like poker chips at the edge of Loch Achanalt. NEW!! Photographic workshops and masterclasses now at TRANSIENT LIGHT. Excellent photo Ian - stopped here mid Jan 2010 in temp of -15C was this just as thaw came?